Hundreds of postal workers in Scotland staged wildcat strikes over the weekend creating a backlog of mail. The Daily Record today reported that staff at the processing centre launched the unofficial action on Friday night over working conditions. Yesterday, Royal Mail bosses were meeting workers and union officials in a bid to resolve the dispute. Around 1000 staff work at the automated processing centre at the Gyle. 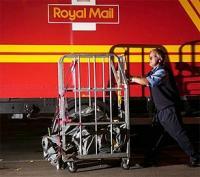 Royal Mail bosses slammed the action as "unnecessary". A spokeswoman said: "A number of Royal Mail staff in Edinburgh took unofficial industrial action. "There was a disagreement over work practices. Some staff did continue to work."